This is an old story from my collection of cuttings and is about the precognitions of London telephone engineer Alan Hencher. Alan had, what he classed as, visions from childhood but it was only when he reached his mid forties that these became more dramatic and significant. The first was in October of 1967 while he was working on a telephone switchboard and, in his words, "I felt dizzy, then came pain, almost unbearable pain. When it cleared I could see a black, heaving, mass and lots of small children. There was a mountain too, but I don't know where." His premonition turned out to be the Aberfan disaster which I have written about previously in the post Dreams and Precognitions of Aberfan. Vivid images of an aircraft going down in flames. Impression of newspaper headlines saying '126 Die'. Fact: One month later a Brittania airliner crashed into flames at Nicosia Airport after two attempts to land. 126 people lost their lives - see Wikipedia 1967 Nicosia Britannia disaster. Vision of another aircrash. Premonitions that 160 will die and eleven will be saved. The images are confused. Conflicting details are present. This does not appear to be a precognition of a single disaster. Fact: Four weeks later there were crashes on successive days, the 3rd and 4th of June 1967. The first happened at Stockport in England and the second was at Perpignan in France. There were seventy-two lives lost in Stockport and eighty-eight fatalities in Perpignan, the total death roll being 160. There were twelve survivors (as against eleven seen in Alan's vision). These two crashes were severe enough to be mentioned in the UK Parliament at the time, and is therefore recorded in Hansard - which lists every word spoken in the British Parliament. Alan Hencher always had severe head pains prior to his precognitions. He put these down to a head injury he had while serving in the RAF (Royal Air Force). I remember reading also that the Dutch clairvoyant, Peter Hurkos (aka Pieter van der Hurk), commenced his visions after a head injury following a fall from of a ladder. A coincidence? I'd better add that Hurkos was a controversial figure, and some say his psychic talents weren't as great as claimed. But that's pretty normal, many will never believe such things - at least not for a while. i believe its possible to see into the future but havent done so myself. a friend once told me he had a vision of a car crash and the next day one happened virtually outside his house. Precognition is one of the most interesting phenomenon. I'd say this guy had a pretty impressive record. I wonder if he ever had precognitive experiences that involved something other than disaster? Amazing, but I'm not sure I'd like to have such precognitions. It must be quite a burden. 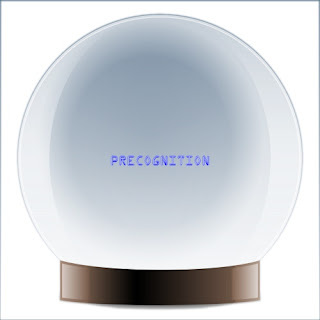 I so much agree with the MacGregors comment about precognition. That ability to foresee just adds to the ongoing paradox/conundrum of free will vs destiny. In the multi-verse theory there would be earths not experiencing those disasters, I suppose, but why would his brain injury only supply visions of those disasters in the near future on 'this' earth? Oh, the puzzles and mysteries of life!